Not that anyone is counting down the days, but the calendar says Spring is here! Those of us experiencing a heavy dose of winter chill are ready for the warm glow of the sun and the beautiful, blooming flowers that come with it. 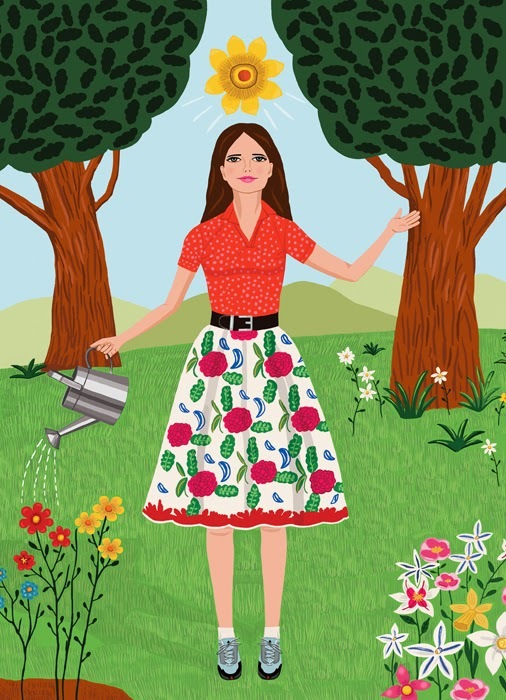 Originally illustrated for an article about gratitude for Body & Soul Magazine, Jackie Besteman creatively captured the lightheartedness of the season with this colorful illustration - and we, for one, will be grateful when the winter snow thaws for good. See more of Jackie's colorful illustration work.